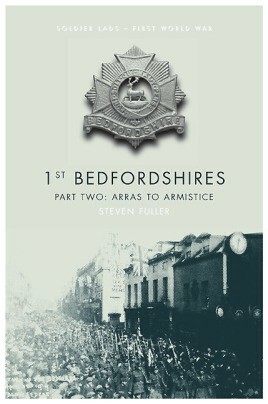 The second part of Steven Fuller's history of the 1st Battalion, the Bedfordshire Regiment, covering the period from October 1916 until the end of the war. In the final two years of the Great War the 1st Bedfordshires were engaged at the Battle of Arras, the capture of Oppy Wood, several phases of the Third Battle of Ypres 1917 - Passchendaele, the German Spring Offensives and the final '100 Days' of battles in 1918. In between they were designated to be amongst the handful of British divisions rushed to the Italian Front late in 1917. By integrating a wide variety of official and personal sources, supported by maps, and personalised with individual stories and photographs, Steve Fuller brings the fascinating and extraordinary history of this distinguished battalion and it's ‘Soldier Lads' to life.